Hey y’all! I wanted to take the time today to do a small life update post as well as tell you what’s coming to the blog for the rest of the year. I recently went over my mid year resolutions check in so I thought I’d write this little life (and blog) update too. Things have been changing since my last immigration post, and by changing I mean all good things are happening! I have some news on Alec’s green card, day-to-day life, our wedding shower in May, and more. You’ll be getting a cute little update on our story in July, and then one more update sometime after October to conclude our immigration journey. October is the month of our “big” wedding, and January should bring our much anticipated honeymoon. After much thought and consideration, I’ve decided to share some very personal things on the blog. 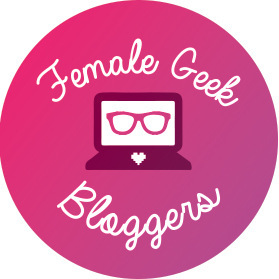 I have my first post written that I am very nervous about sharing because this blog is very much a geeky blog. It started as a way to connect back to myself, and I want to do that again. The post I have planned is very personal to me but what comes after it will be a short series of geek culture posts relating to mental health. All personal posts will continue to have the Spoilers! tag on them as a warning to those who don’t want to read personal posts (which is quite alright! ), but there will be a link back to the original post in the short geeky series that talks about mental health that I am planning. I can’t wait to read what you guys think about these some-what new personal posts that I have coming up. If it’s not your cup of tea, I understand. Every personal post is tagged with the Spoilers! category and header. If you find yourself reading through a post that links back to my personal one, it’s for a good reason, I promise. I am looking forward to it! I would stll say don’t share anything TOO personal. I’m excited to see you talking about your personal journeys and ruminations on connecting with yourself. It’s never easy expressing topics related to mental health. Those types of blog posts may be hard to write, but you never know who needs to hear them at just the right time. I wish you success as you branch deeper into this type of writing. Congrats on eclipsing 200 followers, by the way! Said like a true CMP… 🙂 Thank you so much for your help and encouragement. I hope that these blog posts reach someone in need while letting me get it off my chest and into the world. Can’t wait to see what your new posts bring! Thank you! I’m very excited to share! I’m so glad that everything’s working out and going ahead regarding your immigration stuff, I remember reading that last post and it’s great to hear it’s all going well 🙂 I am also looking forward to getting to know you better and reading your new posts! Just take your time and do what you’re comfortable with even if that means breaking it down into smaller chunks. Thank you! And that’s some great advice. It will most likely be done in smaller posts as it’s a lot to go into.